Besoms were used by everybody for sweeping up, they were the only type of broom available prior to more modern bristle brushes being introduced. 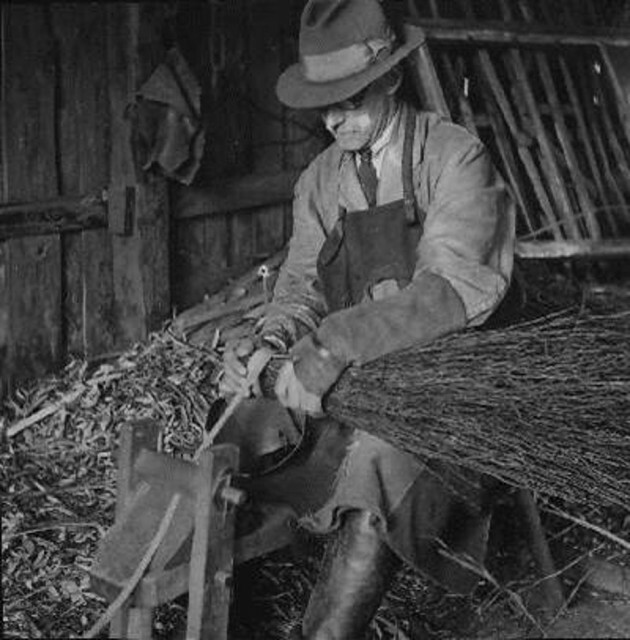 Stoney Middleton has been known for its besom making and 100 years ago the workshop of William Jupp was above the smithy. 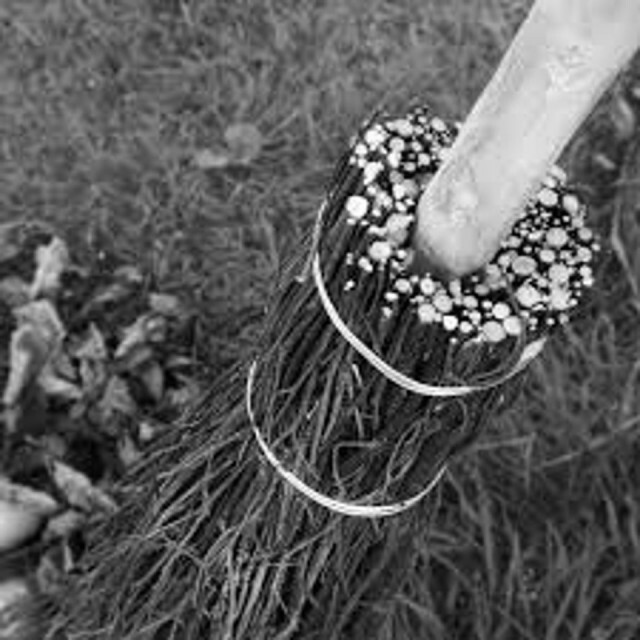 Many people will not have heard the term besom, however everyone will be aware of how they look, a simple bundle of fine twigs bound together to form a witches broom. They were used by everyone from housewives and maids to brush out the stone floors of cottages and houses. Farmers would use them as the only means of cleaning the farmyard and sheds of their animals. The sweeping method was, as you might imagine was very different due to its design, it was necessary to swish from one side to the other rather than brushing forward. The besom was a useful functional method of cleaning, it was cheap and easy to make, used local readily available materials and was easily to clean ready for re-use. Besom making was a quick and simple job for a skilled well practiced maker who could make a besom from start to finish in less than 10 minutes. Materials would be collected locally and brought indoors to dry. The head was a mixture of heather and small twigs usually broom, hence the name broom. These would would be bound together with split wood as a binding before passing a handle, usually hazel through the middle securing it with a wooden dowel. The head would then be trimmed and rounded to the desired length to finish the job. I am interested in having a Besom restored as it was owned and brought home from America circa 1920. I live in Northern Ireland.